We use the Internet to accomplish different tasks, including shopping for a new home and even a home mortgage. There’s now a plethora of interior decorating apps available for your tablets and smartphone. 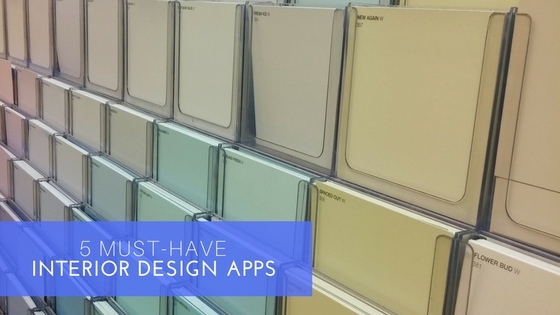 These apps make it easy to decorate a room, from allowing you to determine a room’s dimensions, creating inspirational mood boards, to even connecting to virtual design consultants. Paint apps: There are a couple of branded color matching apps that are helpful in color matching: ColorSnap by Sherman-Williams and Color Capture by Benjamin Moore. Both apps take the guesswork out of color matching by analyzing the color composition of your photos or pins and providing the closest available paint color, making it much easier to find the perfect shade of gray. Both apps are free for iOS and Android. Houzz: Houzz has become the first name for gathering interior design inspiration and now you have access to is large design database in the palm of your hand. Browse through its extensive library of interior projects, find sources and vendors for your favorite pieces, and even see how furniture will look in your room with its room planner feature. Free for iOS and Android. Zillow Digs: You may have used Zillow to find your new home, but did you know you can also use their free app for home improvement and design inspiration? Get advice from real interior designers, project estimates, virtually paint your walls, and find the products needed to recreate your dream room. Free for iOS and Android. BrightNest: BrightNest helps you to stay organized during the remodeling and interior design process. Get customized home maintenance tips, scheduled tasks, and get home décor ideas as well. Free for iOS and Android. roOomy: Visualizing how that new couch will look in your living room can be challenge but with roOomy, homeowners can create 3-D renderings on their phones to virtually stage any room in the house with art and furniture pieces that can also be purchased through their retail partners like Wayfair, Houzz, DWI, and more. Free for iOS and Android. What’s your favorite interior design app?